I cross-posted this story and the related hat tip here. We've learned nothing from Enron. See today's Wall Street Journal article (here) about manipulating debt at ends of quarters to make debt "disappear." We've learned nothing. 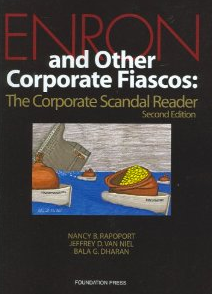 Shameless plug: our latest Enron book (here) explores just why we never learn from prior corporate malfeasance. Good law and ethics story of the day. In today's Wall Street Journal (here). "In" isn't a synonym for "during." There's nothing wrong with serving in a military reserve unit; what's wrong is misstating what one's service record was, especially for personal gain. Want to vent? I have a forum for you! Question of the week. Now's your chance to throw a question our way. You can email me, or you can post a question by clicking here. This is your chance to vent about behavior that puzzles you, frustrates you, or amuses you. If the behavior horrifies you, then please send us . . . Horror stories. These can be from legal employers, from faculty members, OR from law students themselves. (I have a few of my own from my law school days.) We'll post the best horror stories (or should we say the worst ones?) on our blog. Thanks, and Jeff & I both look forward to hearing from you! Our Law School Survival Manual is now available for pre-order on Amazon.com. Question for you Blogger programmers out there. to HTML color #335C33 or thereabouts? I don't like the light green color, but I can't find a website that will teach me how to edit the HTML for the part of the blog that's above. I'm officially out of my comfort zone. Thanks! Some may disagree about the President's choice (see here), but there's no question that Solicitor General Kagan has a wealth of experience in different roles. We'll see what happens during her confirmation hearings. We've started handing out some weekly tips for law students (this summer's theme is, not surprisingly, summer jobs) over at our Law School Survival Manual blog (see here and here). Here's hoping that folks find them useful. If you want to weigh in, either agreeing or disagreeing--or even adding ideas for us to consider--please take a moment to click over to the Law School Survival Manual blog. I'd sure love your thoughts. The Enron play is closing on Broadway, long before Jeff & I could go see it. See here. We now have a blog attached to the Law School Survival Manual (see here). Our first post, about summer jobs, is here. A few updates about bankruptcy fees. In yesterday's New York Times, Nelson Schwartz and Julie Creswell wrote a fascinating article about the magnitude of bankruptcy fees, especially in the Lehman case (see here). In a world of still-rampant unemployment, we need to remember that we don't have a lot of friends on the "outside" (the world outside bankruptcy law). If we're not careful, we'll lose the friends we have on the "inside," too. Here's a plug for an article I'm publishing with the University of Maryland's Journal of Business and Technology Law, an up-and-coming journal with author-friendly editors and a great work ethic. 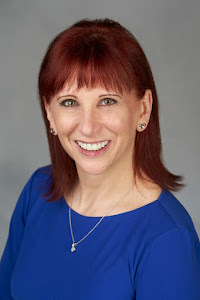 My new article's called Rethinking Professional Fees in Chapter 11 Cases, and it explores why there are so many problems with the moving parts that make up fee requests.